MISSISSAUGA, ON, Jan. 15, 2014 /PRNewswire/ - After ten years of success managing the Umbro brand in Canada, RMP Athletic Locker will take its grassroots approach to supplying teamwear, footwear, equipment and support to Soccer Specialty retailers across the U.S.A. Iconix Brand Group, which purchased the Umbro brand in 2012, has granted the distribution rights for these categories effective immediately. RMP has a proven track record of stability, service and expertise in the Canadian soccer marketplace with partnerships including Canada Soccer (official uniform supplier to all National Teams) and to over one hundred teams and clubs throughout the country. 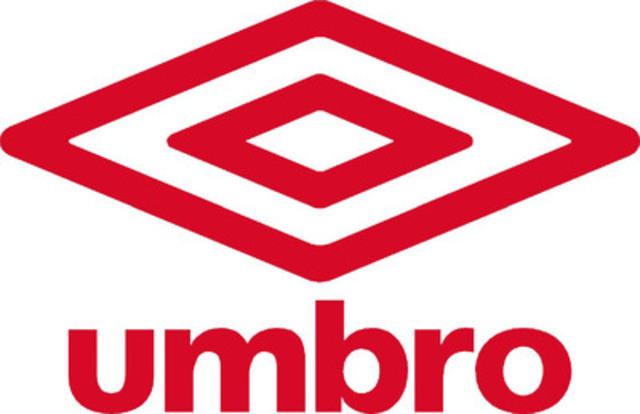 Looking to assist in growing the presence of the Umbro brand in the USA, RMP will focus on the soccer specialty retail channel and tell the story of Umbro's 90-year heritage. At the same time, introducing new and exciting innovations, product designs for players and unique partnership opportunities for teams, clubs and their fans. RMP Athletic Locker Ltd. will begin full US distribution in Fall 2014 and provide sale opportunities for select retailers and partners from their existing Canadian warehouse and inventory until then. Iconix Brand Group, Inc. owns, licenses and markets a growing portfolio of consumer brands including: CANDIE'S (R), BONGO (R), BADGLEY MISCHKA (R), JOE BOXER (R), RAMPAGE (R), MUDD (R), MOSSIMO (R), LONDON FOG (R), OCEAN PACIFIC (R), DANSKIN (R), ROCAWEAR (R), CANNON (R), ROYAL VELVET (R), FIELDCREST (R), CHARISMA (R), STARTER (R), WAVERLY (R), ZOO YORK (R), ED HARDY (R), SHARPER IMAGE (R), UMBRO (R), LEE COOPER (R), ECKO (R), and MARC ECKO (R). In addition, Iconix owns interests in the ARTFUL DODGER (R), MATERIAL GIRL (R), PEANUTS (R), TRUTH OR DARE (R), BILLIONAIRE BOYS CLUB (R), ICE CREAM (R), MODERN AMUSEMENT (R), and BUFFALO (R) brands. The Company licenses its brands to a network of leading retailers and manufacturers that touch every major segment of retail distribution from the luxury market to the mass market in both the U.S. and worldwide. Through its in-house business development, merchandising, advertising and public relations departments Iconix manages its brands to drive greater consumer awareness and equity. About RMP Athletic Locker Ltd. Established in 1977, in Mississauga, Ontario, RMP Athletic Locker is one of Canada's leading sports apparel and footwear companies. The company designs, manufactures, and distributes technical and lifestyle products under a range of global brand names including Umbro, RPZN, PWDR ROOM, Teva, Fila, and Eira.